Trip Advisor's #1 attraction in Louisville features a whole world of adventures!-Mega Zips: 10 stories underground, featuring six underground zip lines, including a fun filled dual racing zip, two awesome challenge bridges that will test your skill, balance, and mettle, this tour is guaranteed to get your heart racing and your adrenaline pumping!-Mega Tram: This Historic Tram Tour will take you on an underground adventure rich in history, geology, mining, recycling, green building technology, and just simply HUGE in scale!-Mega Quest: The ONLY fully underground aerial ropes challenge course in the world! Mega Quest is one of only twenty courses of its kind in the USA.-Electric Bike Tour: A 1.5 hour guided behind the scenes tour of the Mega Cavern! 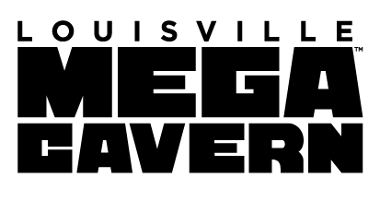 There's an adventure for everyone at Louisville MEGA Cavern!